One of the common question or thing that people get missed is that how to add more “resolution status for Case (incident)” or more “Lost Reason on Opportunity (opportunity)” Record. We look at the example steps for case record and all other entities status list can be changed similarly. Step 4: save the changes and publish the entity. 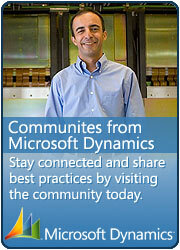 This entry was posted in CRM 4.0, Tips & Tricks and tagged CRM 4.0, Tips & Tricks on March 1, 2010 by mayankp.